Tomasiano will conjure up smile on your face and on the faces of your wedding guests. We will make sure to make your wedding an unforgettable experience. 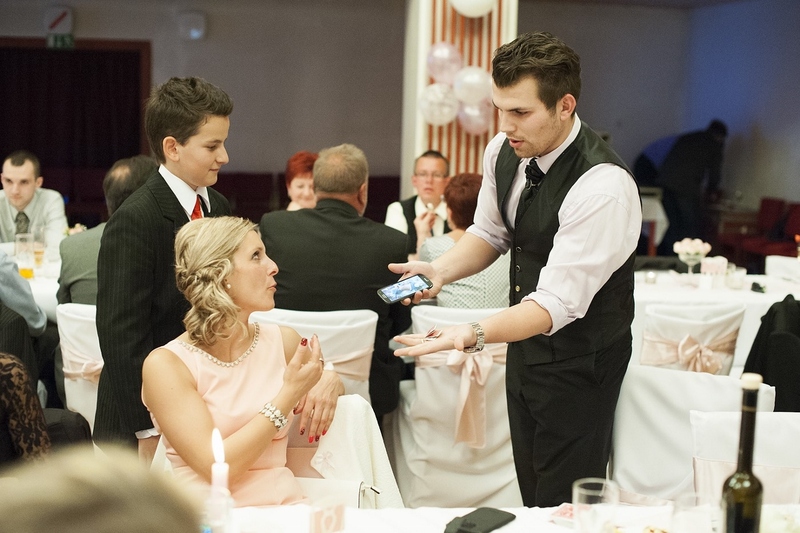 The program is suitable for all ages. 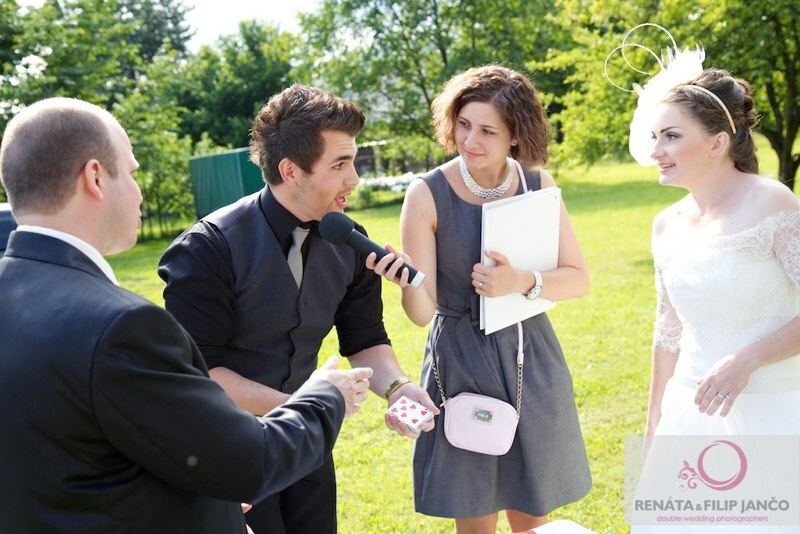 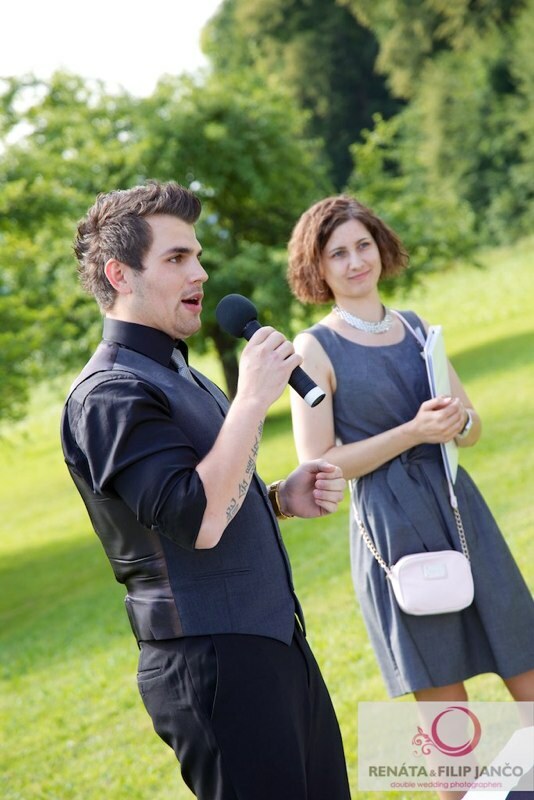 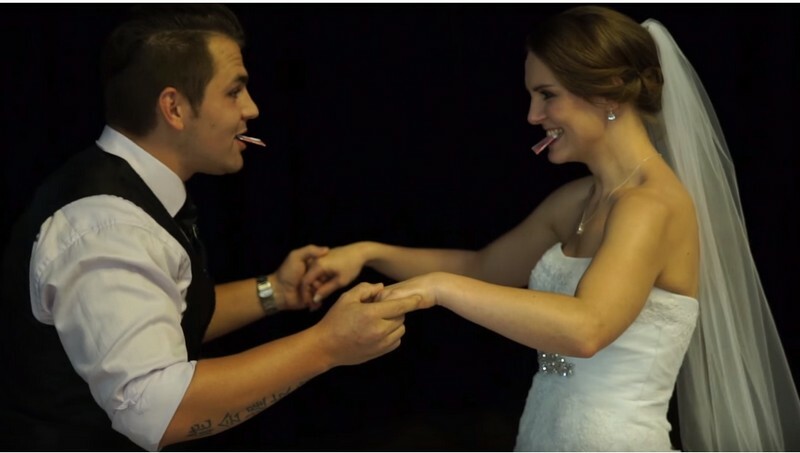 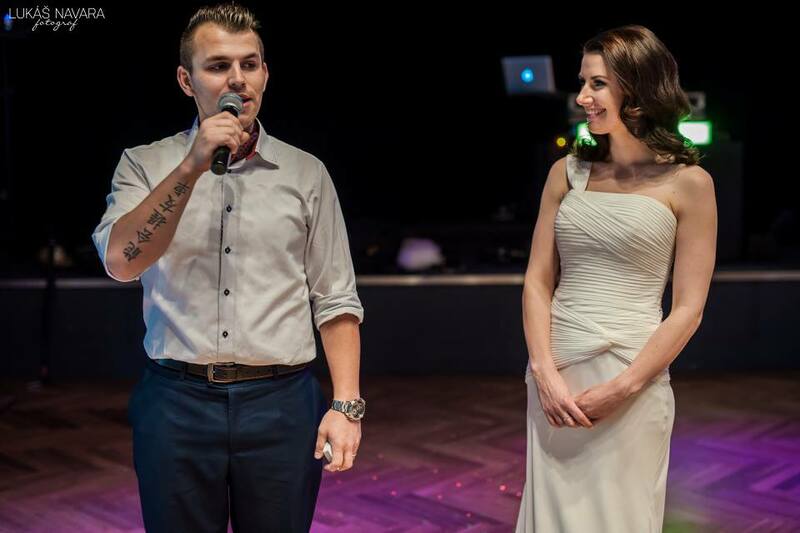 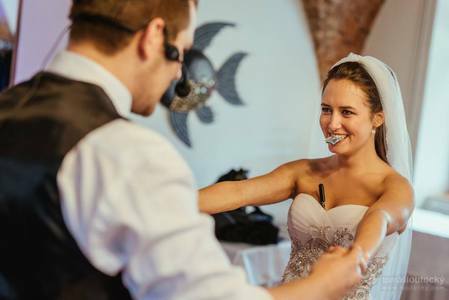 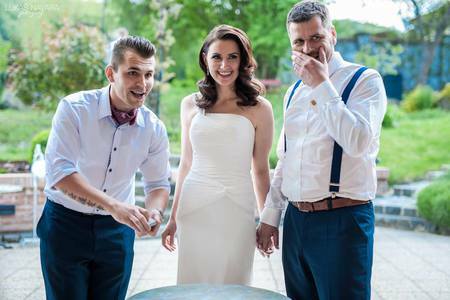 Wedding magician is becoming more and more popular and sought-after not only because of an attractive entertainment for your wedding guests, but also because of filling up the time gap when newlyweds are taking photographs and when the guests usually don't have any option of other amusement. 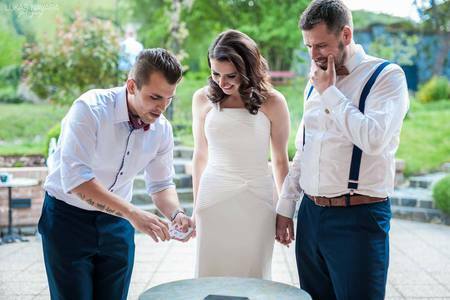 Entrust your wedding day to the best professionals from the magic field, whose tricks and spells have experienced guests at hundreds of weddings. 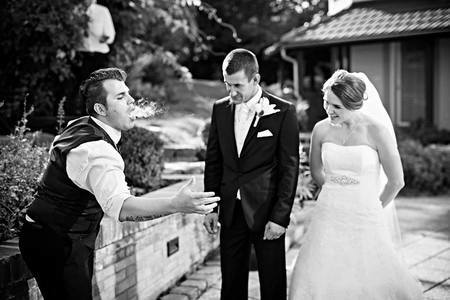 Go to our photo gallery to see how your wedding could look like. 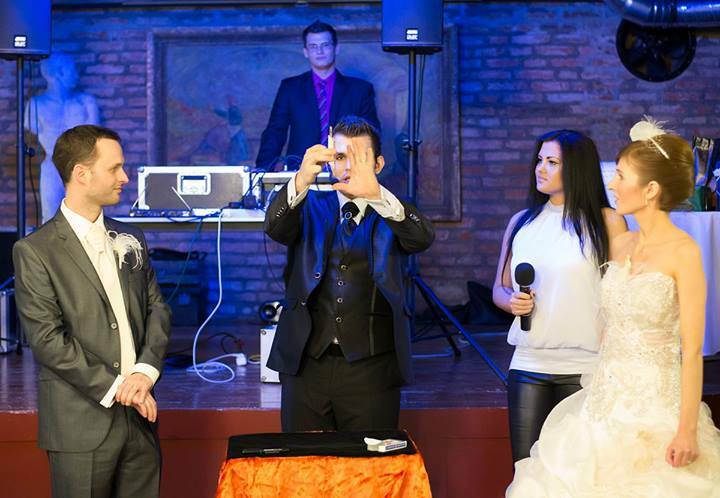 The show starts by magic trick intended for newlyweds, in which the power of love and magic are united. Will there be any foreign guests on your wedding day? No problem, because Tomasiano can perform all his magic tricks in English language as well. 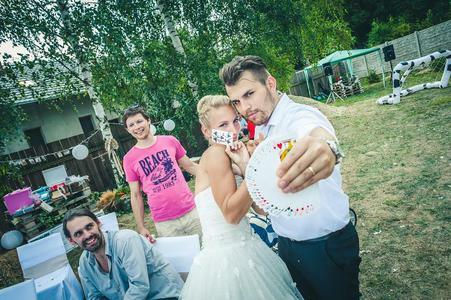 On your wedding day, there can be two types of show. The most favorite is the combination of these two shows, but you can also order these two shows separately. Parlour magic is a 20 minutes interactive show. 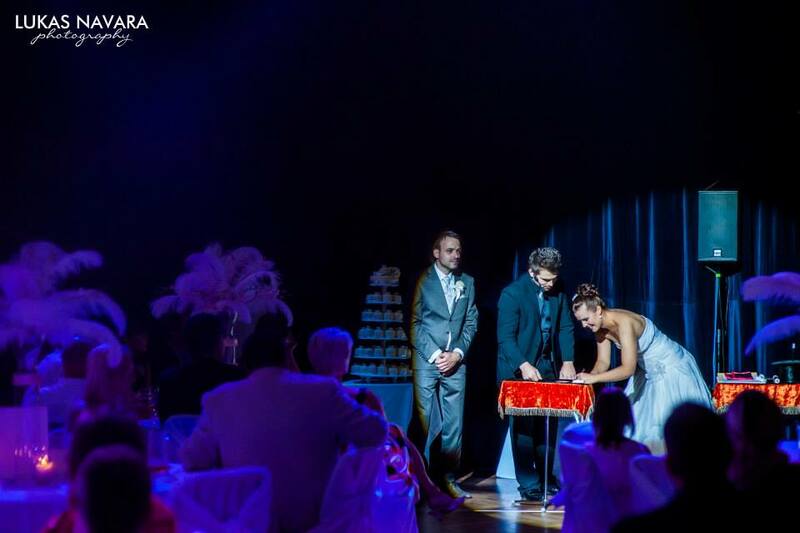 It is a form of stage magic when the show is adjusted to the wedding area conditions (restaurants, saloons, hotels, gardens, multi-purpose halls, etc.). 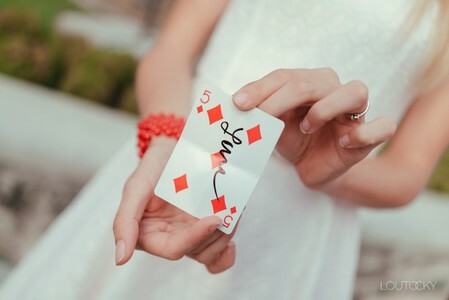 The show is dynamic and full of visual tricks. 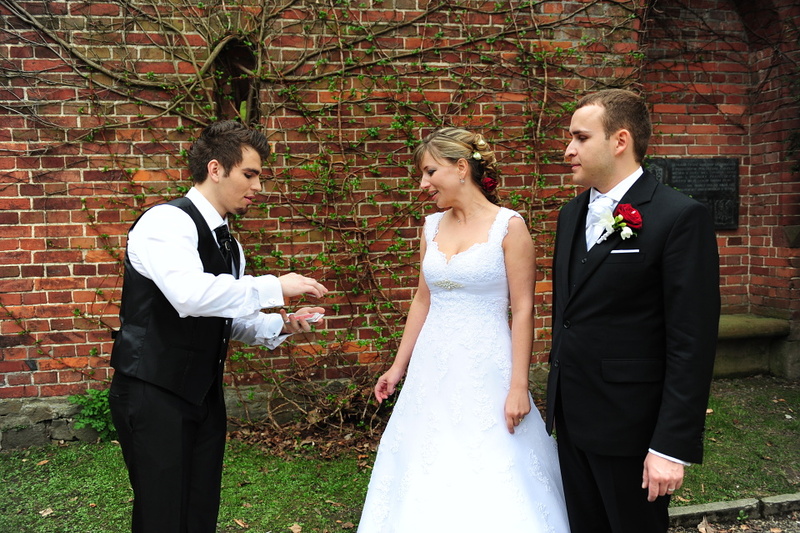 Your guests will become a part of all magic tricks, enhancing their impressions and experiences. 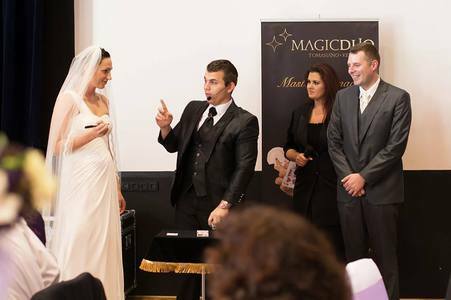 Parlour magic show includes all types of magic such as general magic, illusions, mental magic and card magic tricks. Close up magic is currently the most demanded and the most difficult form of magic. 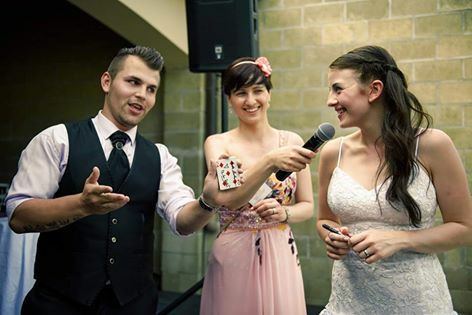 Czech king of this field with his sleeves rolled up shows his audience the wonders of close up magic – at a table or surrounded by guests in the area of the event - using a deck of cards, coins, bank notes, rings etc.